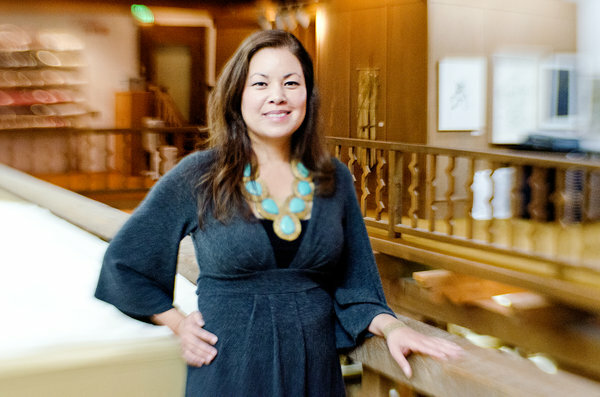 Lisa Hsu Barrera is currently completing her MA at the California State University at Chico. 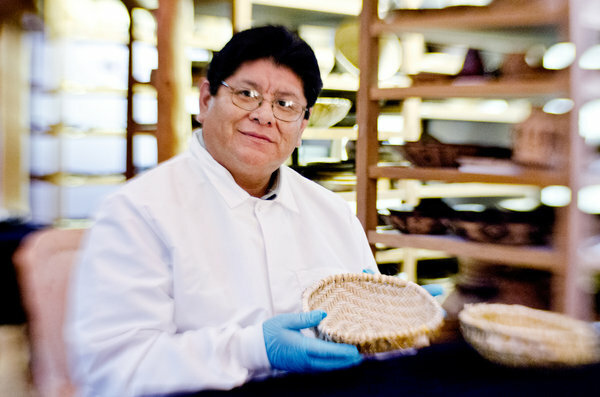 As a graduate student assistant for the California State Parks Capital District Museum and Historic Parks, one of the collections she is privileged to work with is the State Indian Museum Collection, which houses over 5,000 baskets. Lisa has also served as a collections management intern at the American Museum of Natural History, archaeological materials conservation intern at the US Embassy in Peru, and graduate student registrar at the Valene L. Smith Museum of Anthropology. Lisa looks forward to eventually working in Native collections as a collections manager, registrar, or curator. She is also interested in examining how the California State Parks Capital District Museum and Historic Parks collections can be redefined/re-valued to show their relevance to the community. While at SAR, she will work to reach these goals by spending half of her time working on collections/ registration projects, and the other half of her time working on academic/education programming projects. Lisa will be in residence at SAR from September 1, 2012–May 31, 2013. Lisa Hsu Barrera, 2012–2013 Anne Ray Intern. Photograph by Jason S. Ordaz. Melvin Sarracino is from Laguna Pueblo, where he was raised and educated. In 2009, he received his BA in Museum Studies from the Institute of American Indian Arts. Since graduating, Melvin has served as the museum specialist for the Sky City Cultural Center & Haak’u Museum at Acoma Pueblo. There, Melvin works on exhibit development, installation, collections care, gallery tours, and workshops. Melvin believes the Anne Ray internship will provide him with the opportunity to enhance his research skills and knowledge as it pertains to museum academics and community outreach. As a staff of one at the Haak’u Museum, he looks forward to bringing the knowledge he learns at the IARC back to the museum and his community. While at SAR, Melvin will work to reach these goals by spending half of his time working on collections/ registration projects, and the other half of his time working on academic/education programming projects. Melvin will be in residence at SAR from September 1, 2012–May 31, 2013. Melvin Sarracino, 2012–2013 Anne Ray Intern. Photograph by Jason S. Ordaz. The Summer Policy Academy at the Santa Fe Indian School and the School for Advanced Research has signed a memorandum of understanding since 2010 to support one summer intern at the Indian Arts Research Center. The purpose of the internship is to help students affiliated with the Summer Policy Academy gain work experience, broaden their perspectives, and introduce them to the museum field. The SPA and SAR are pleased to welcome Felicia Teba as the 2013 SAR-SPA summer intern. Felicia Teba is from the Pueblos of Acoma, Santa Clara, and the Navajo Nation. She graduated from the Santa Fe Indian School in 2012 and was valedictorian of her class. She now attends the University of Portland in Oregon, where she is double majoring in secondary education and history. While in high school, she participated in the National Honor Society and track and field. During her senior year, she was president of the National Honor Society and served as the secretary for the senior class. While participating in track and field, she was awarded the Coaches’ Award, Ms. Perseverance Award, and twice the Student-Athlete Award. She was also a Century Bank Super Scholar and awarded the High School Prize for Scientific Excellence. Felicia also participated in the Summer Policy Academy at the Santa Fe Indian School. She believes that having been a part of these various programs during high school have taught her leadership, perseverance, and communication. As she continues her college career, Felicia hopes to become a social studies teacher. She also hopes to inspire other young Native students to continue their school careers. While at SAR, Felicia will be working on projects related to education, registration, and collections management.